A pinched nerve in the wrist. 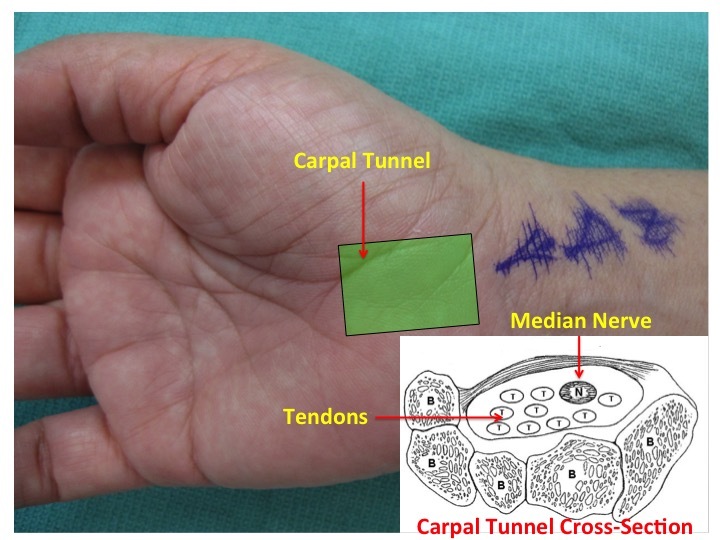 There is a tunnel (the carpal tunnel) in the wrist where the median nerve and nine tendons pass through. The nerve is pinched when swelling in tunnel puts pressure on the nerve. (See Carpal tunnel anatomy photo). It affects 1/20 people. May need a special test called the EMG or electrodiagnostic study. Surgery: for moderate to severe cases, especially patients with weakness. Long-term outcome is the same based on many studies. If clinically indicated, Dr. Zhang prefers the endoscopic approach. 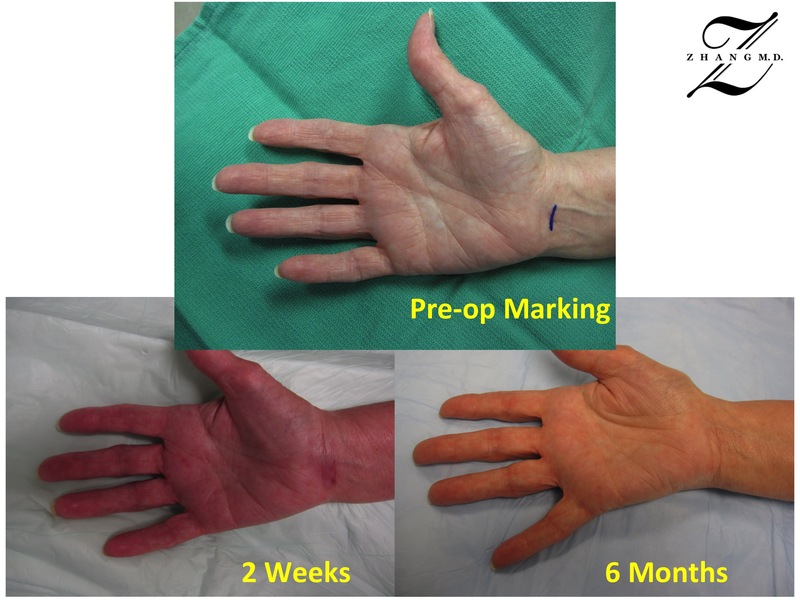 In his experience, his patients on average experience faster recovery after endoscopic carpal tunnel release.